Looks like the Dollar Index will continue to fall. Yesterday the price tested the neckline of the “head &shoulders” reversal pattern. At the moment the target of this fall is the area of 80.24, which means that, in comparison to the most currency pairs, Dollar will continue to fall. 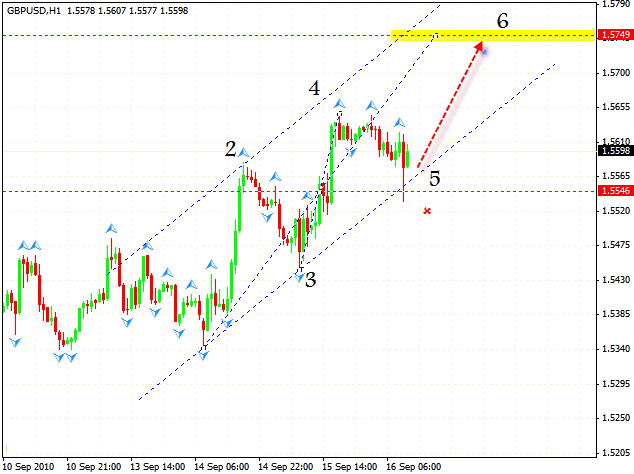 The daily online forex trading chart indicates that Euro continues to grow. 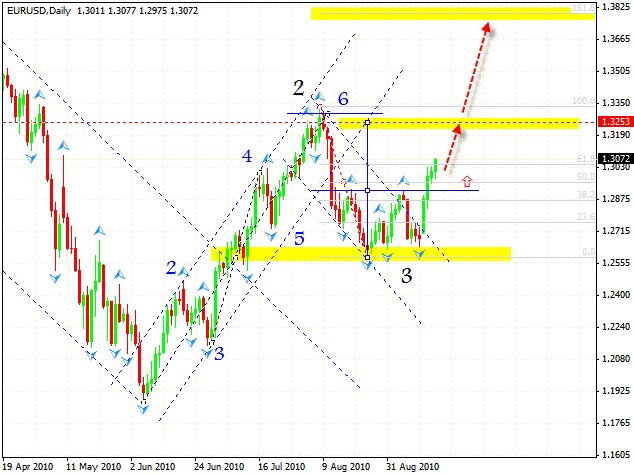 The first target of this growth is the area of 1.3253 (it is the target of the “upside down head & shoulders” reversal pattern), the next one is 1.3825. After the maximum in the area of 1.3350 is broken, we may consider the formation of the rising pattern, and the price moving to the level of the 4th point of reference. The targets will be specified later. Pound, as expected, is rising, but has not reached the specified targets. 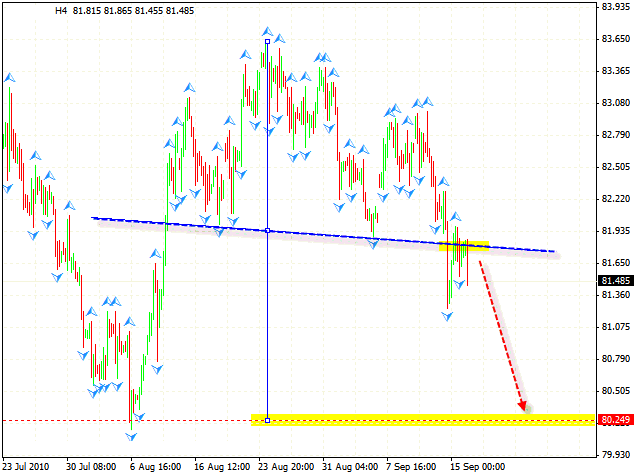 Currently one can try to buy the pair with the stop below 1.5530 and the target in the area of 1.5749. Franc continues to fall. The closest target is the area of 0.9585. 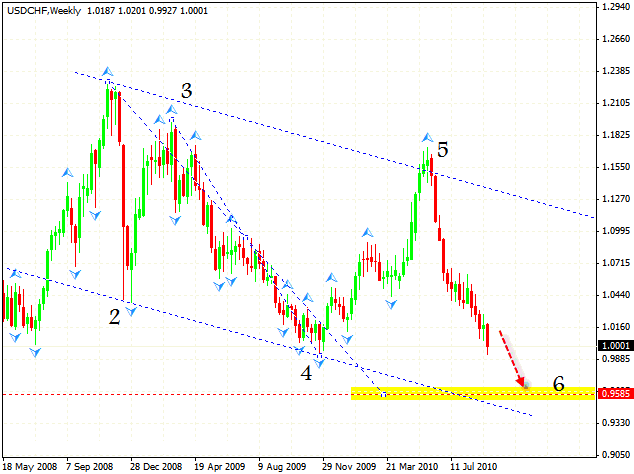 As we can see, there is a descending pattern, where the last wave of falling is almost finished. Taking all this into account, one can try to sell the pair with the tight stop. Any correction of the pair should be regarded as a valuable opportunity to open short positions.